I think I was meant to be a California girl. While preparing for my second trip to the state in the last three months, I checked the weather for Orange County each day. 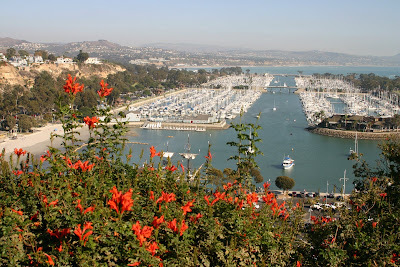 Each day, the weather for Michigan was cool, rainy and cloudy, while each day in Orange County was sun, sun, and more sun. This weekend was more of the same. Georg was reporting snow predictions from home, while I was walking Laguna Beach in bare feet and 85 degree sunny weather. 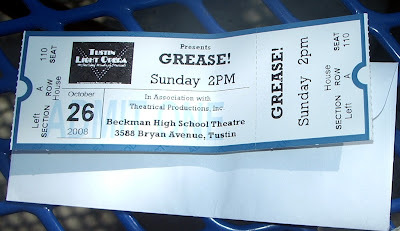 The reason for my trip was to see Eric perform in "Grease" with the Tustin Light Opera Company in Irvine. I wasn't going to come out again this soon after seeing Eric in Sacramento's "Evita" in August. But the possibility of seeing him morph into yet another diametrically opposite role was strong and I decided if I could obtain frequent flyer tickets I would go for it. Surprisingly, I did get my tickets and they were into Santa Ana's John Wayne airport to boot, the airport closest to the theater. My next challenge was to find a cheap hotel. I had researched some hotels in the area and the cheapest I could find was upwards of $120 a night for a pretty basic place, such as LaQuinta. Someone recommended Priceline on Fodors and I decided to try it. 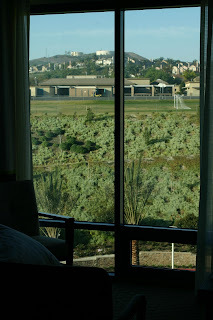 It was my first Priceline experience, one which I am sure to repeat many times in the future. The hotel I got for $64 a night was a four star spa/hotel twenty minutes from the theater. 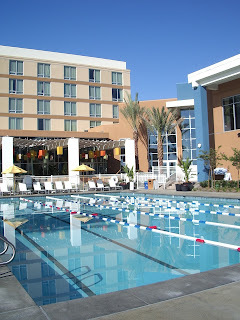 The Renaissance ClubSport is a brand new hotel, completely modern, beautifully furnished and geared toward the health conscious and sports conscious individual. It has a 75,000 sq foot fitness club and huge outdoor pool, hot tub and lounge area with firepits. We even have free wireless internet access. I compared car rental prices and the cheapest rental was on Hotwire, for $11.99 a day plus taxes. 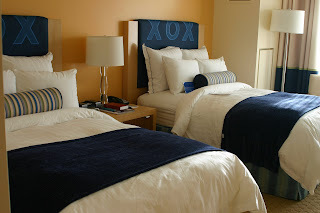 My weekend would prove to be even cheaper, because a friend from St. Louis (Sherry who is also an Eric Kunze fan) decided to fly out and we shared the cost of the room. 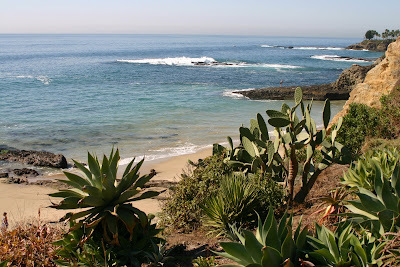 Sherry and I spent the day on Saturday driving to several area beaches to soak up some rays and watch the surfers. In the evening we attended the theater together. We had a blast watching our favorite actor pretend to be 18 again. His dancing was worth the trip alone. His friends call him a "triple threat" (Singing, dancing, acting). Eric's parents were there on Saturday night and we had a lovely visit with them and with Eric afterward. 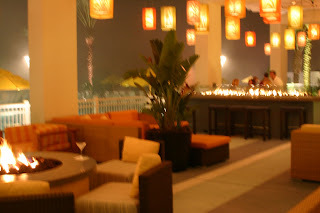 We capped the evening off by enjoying drinks on the pool veranda in the lounge chairs at one of the firepits. 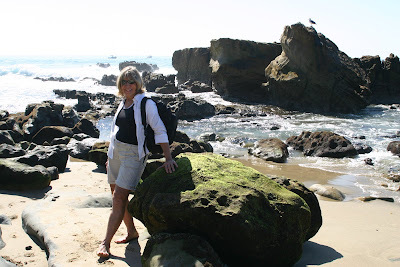 During the day, we explored some of the area beaches. 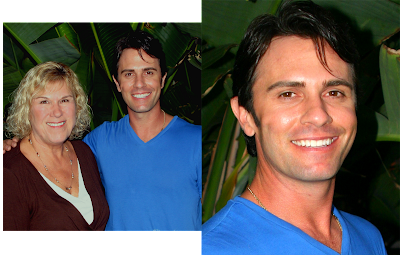 We were privileged to witness a wedding on Laguna Beach. The weather at home was in the 40's, while we sunned ourselves and watched the surfers in mid-80's temperatures. I've been reading and writing for a while on the forums at Fodors.com. When I begin trip planning that is always the first place I do my research. You begin to trust certain posters comments and, since there is no advertising allowed, they are usually impartial and honest. I have even met some of the regulars in my travels. After my trip reports I write a report to pay back the help I received. 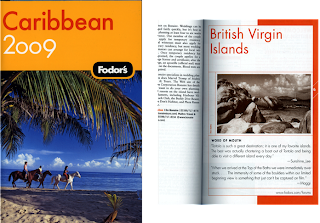 The editors at Fodors read the forums and choose certain comments to be published in their travel guides. If your comments are published they offer you a free book. 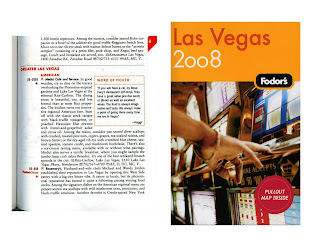 That is how I received Fodors Las Vegas 2008 and Caribbean 2009 guides. Even though it is just a few lines, it is a thrill to read your own words in an honest-to-goodness book!